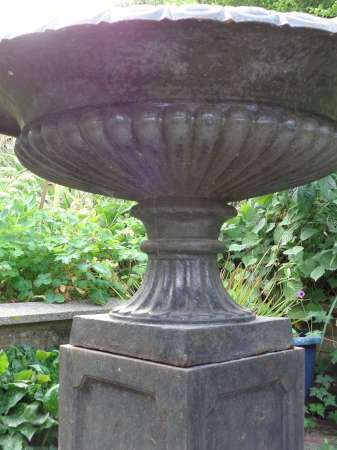 specialists in providing authentic architectural antiques and reclaimed building materials. 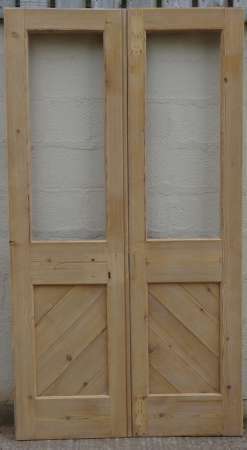 Set of non-rebated church double doors in pitch pine ( see matching single door ADX006). 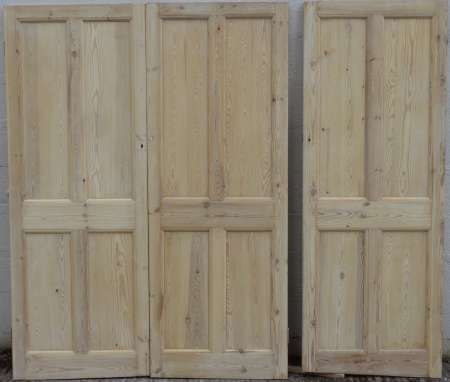 2128mm x 1590mm(total width) x 38mm. 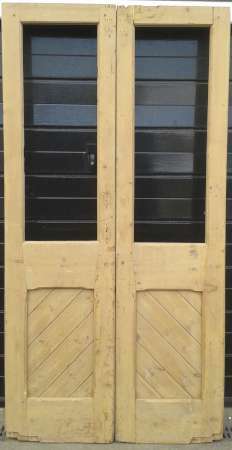 A set of pine bi-fold doors – not rebated where they meet at middle. 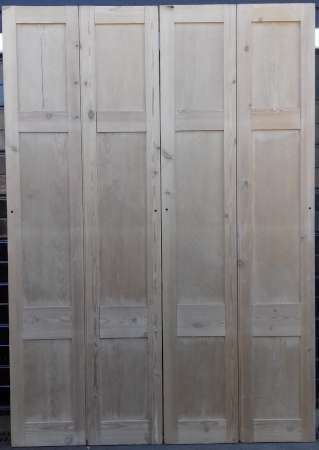 2220mm in height x 1530mm in total width x 26mm. 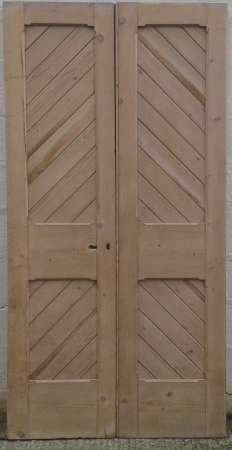 Set of Victorian double doors in pine. 1673mm tot. 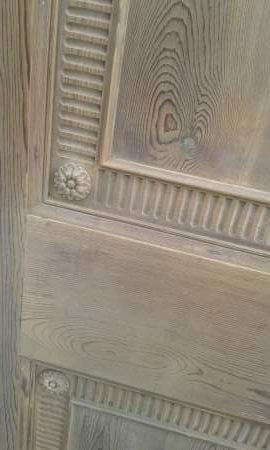 width x 1952mm x 32mm. 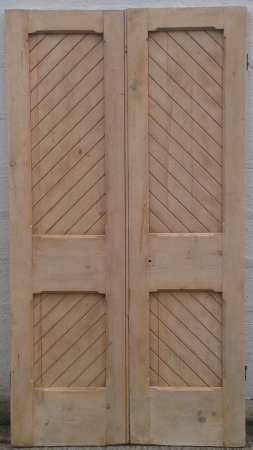 Victorian double doors in pine. 2106mm in height x 1190mm total width x 38mm. 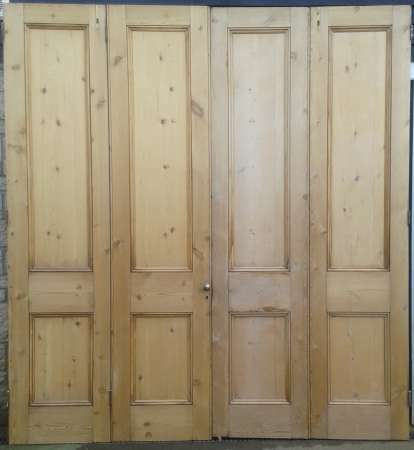 Stripped / small amount of historic woodworm (treated). 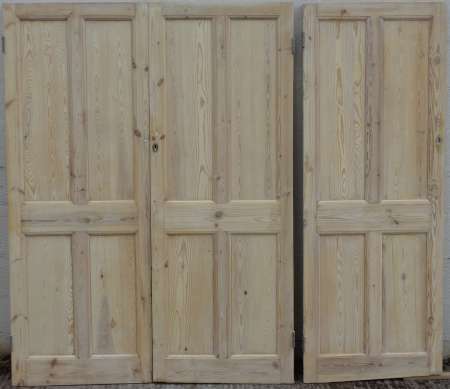 A set of pine double doors – not rebated where they meet. 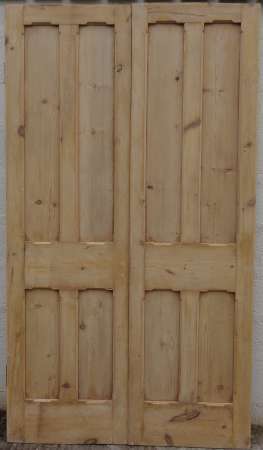 Stripped & in good condition. 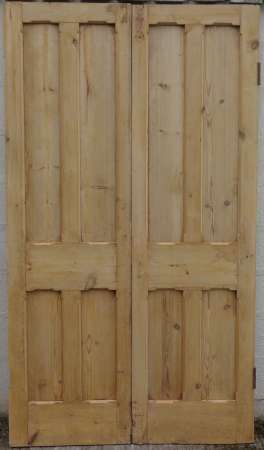 A pair of Victorian pine panels – not rebated where they meet, currently unglazed & with a joinery repair to one stile. 2280mm x 735mm total width x 43mm. 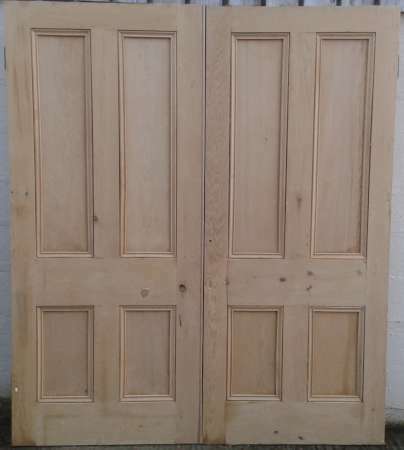 Set of Victorian ex- church double doors in pine – currently unglazed. 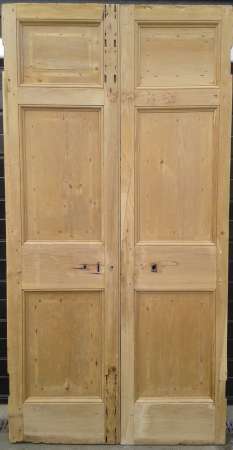 Originally fitted as swing doors and so not rebated where they meet. 2027mm min. 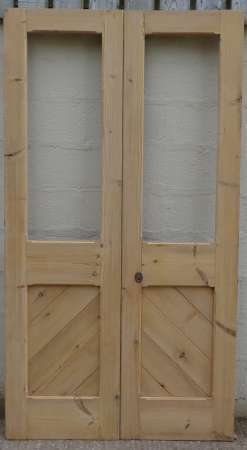 height x 1050mm total width x 48mm. 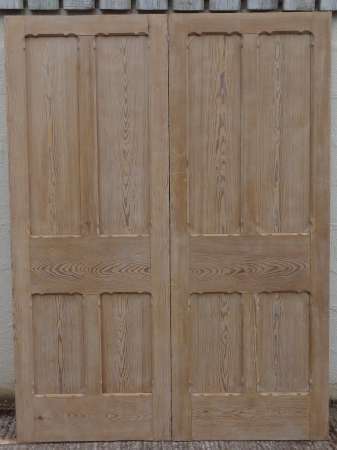 A set of ex-boardroom pine double doors with mahogany veneer to one side. 2100mm in height x 1525mm total width x 53mm. 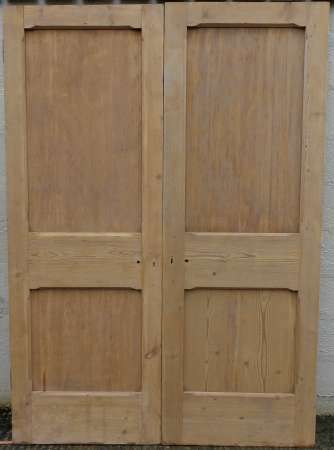 Pair of Victorian double doors / room dividers in pine – very nice doors. 2122mm h x 1833mm total width x 45mm. 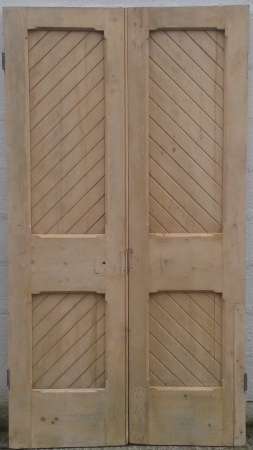 A set of Victorian paneled double doors / room dividers in pine. 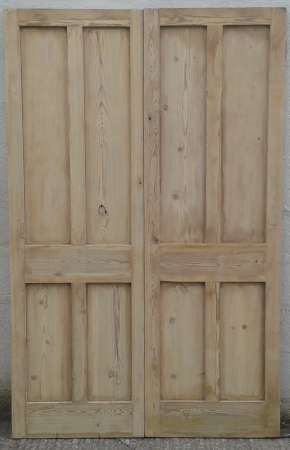 2530mm x 1740mm(total width) x 45mm. 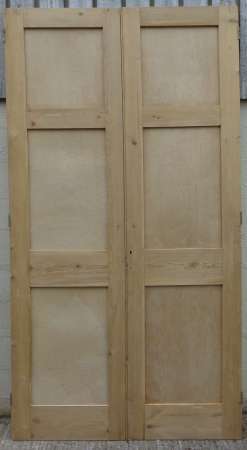 Ex-church rebated part glazed pine double doors – no glass. 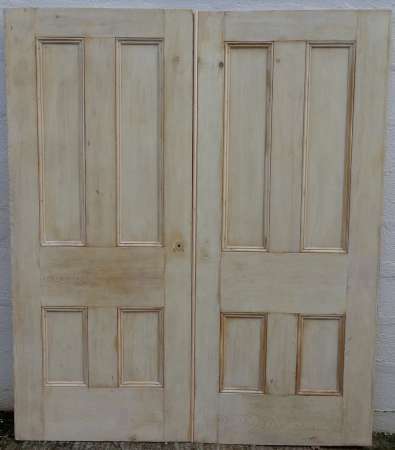 Stripped & in excellent condition. 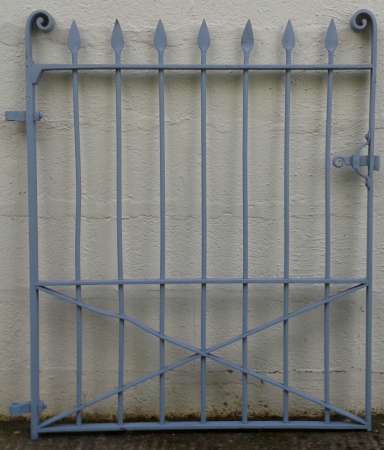 Total width 1185mm x 2175mm high x 48mm. 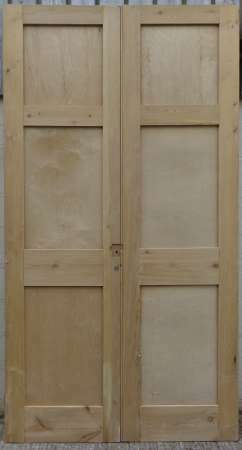 A set of 3 antique matching pine wardrobe doors. 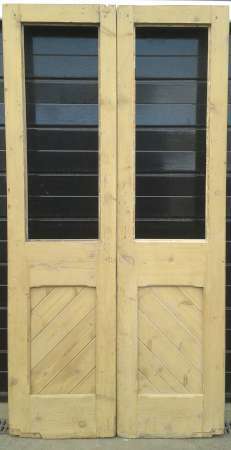 1905mm x 707mm x 28mm. 1897mm x 710mm x 28mm. 1880mm (minimum height) x 711mm x 28mm. 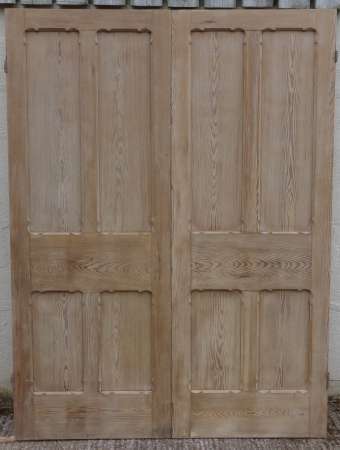 A set of antique double doors in oak with original brass door furniture – currently unglazed. 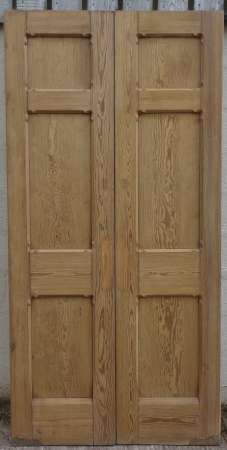 2020mm in height x 1212mm total width x 46mm. 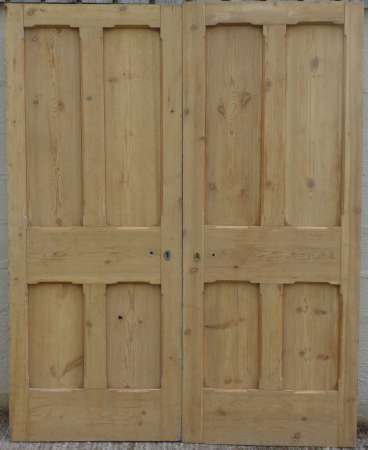 A set of Victorian ex-church pitch pine double swing doors. 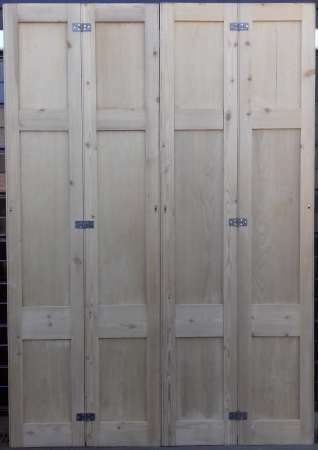 2200mm x 1085mm total width x 44mm. 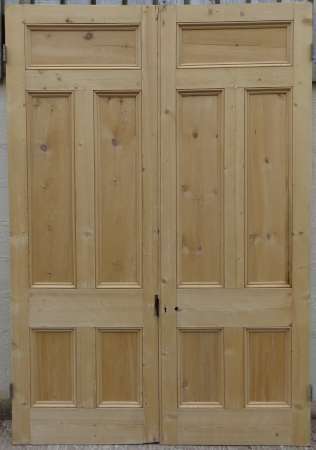 Victorian non-rebated pine double doors. 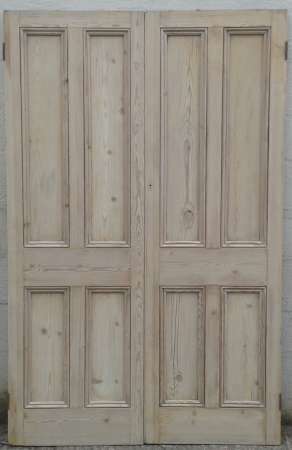 2114mm x 1690mm total width x 42mm. 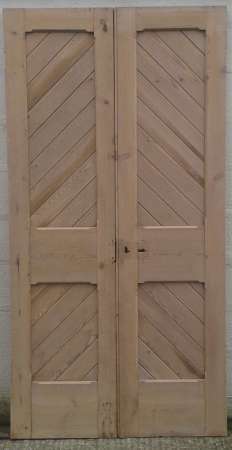 Reclaimed double doors / room divider. 2658mm x 1430mm total width x 36mm. 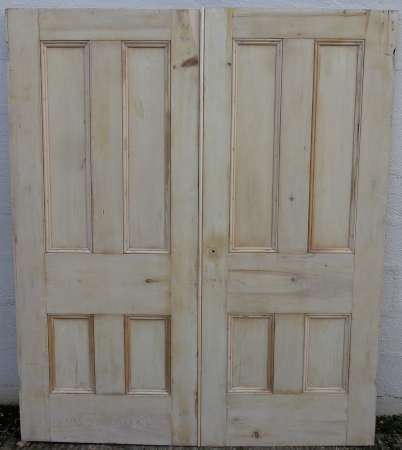 Stripped & in great condition. 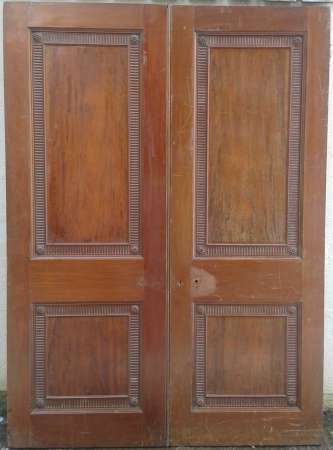 Pair of antique hardwood (probably teak) external double doors with brass hinges. 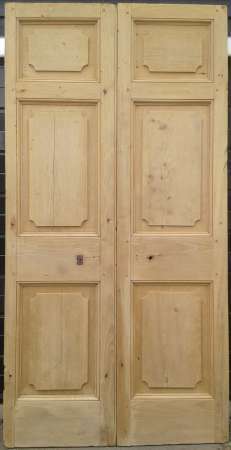 The original external pine double doors to a Georgian house dated 1798. 2220mm x 1135mm x 62mm. 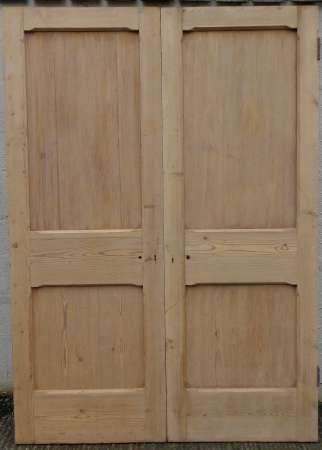 Some repairs have been made to the inside face ( larger images available on request). 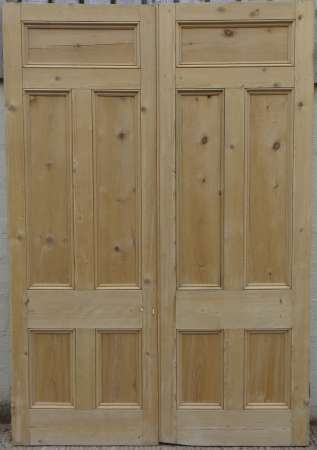 A pair of Victorian double doors in pine. 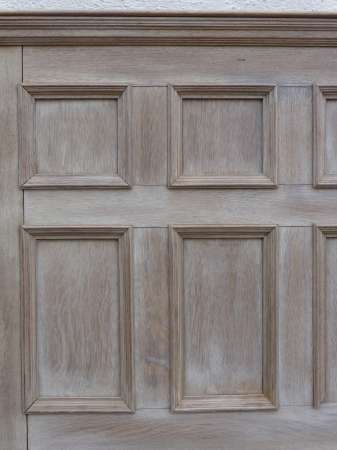 840mm total width x 1946mm x 30mm. 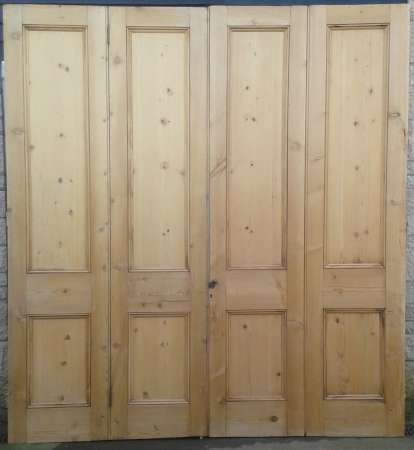 Pair of Victorian ex-church double doors in pine. 2022mm x 1028mm in total width x 41mm. 1983mm x 1080mm in total width x 44mm. 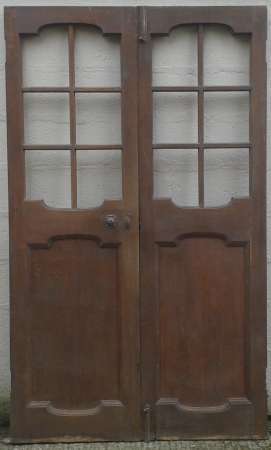 A fine set of Victorian bifold doors / room dividers in pine. 2360mm in height x 2195mm in total width x 40mm. 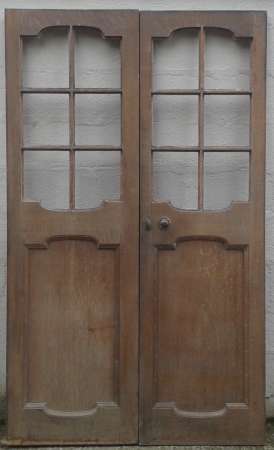 A set of rebated Victorian 4 paneled double doors. 1962mm x 40mm x 1251mm total width. 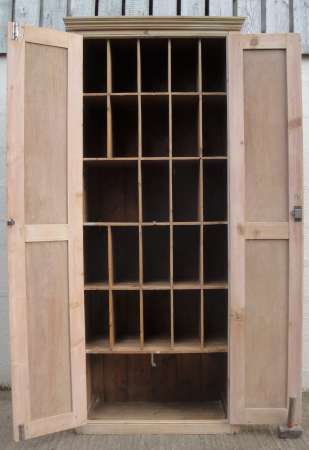 Please note* this is not our storage depot this is only our postal address. 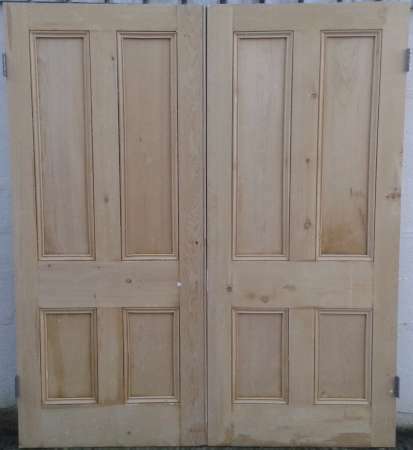 If you have something that may be of interest to us, please do not hesitate to call on 07970318399 or send an email toabergavennyreclamation@hotmail.com. 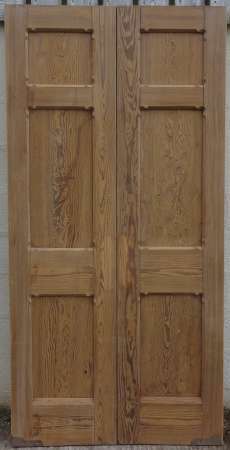 Please let us know as much detail as possible with some pictures if possible and your selling price. 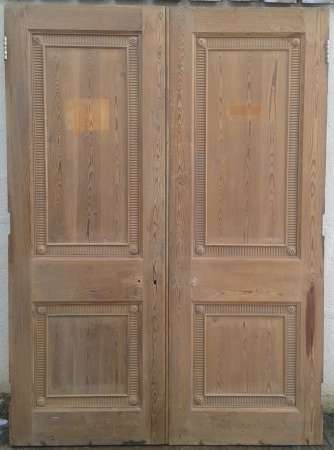 If we are interested, we'll make you an offer and can arrange for collection if necessary. We look forward to hearing from you. Hosted & Designed by Nic the Computer Guy Theme: Colinear by Automattic.